Recent reports have emerged that preschool may not be as important as once was thought. These same studies report that the children who benefit from preschool are those from affluent families; these being the families that can afford the top, private preschools. Does this mean that generations of children went to school sooner than necessary? Though the answer to that question depends largely on which side of the fence you stand, don’t write off preschool just yet. There are may be both positives and negatives of preschool. According to Gail Saltz, MD, associate professor of psychiatry at New York-Presbyterian Hospital/Weill Cornell School of Medicine in New York City, preschool can be a place where young children develop strong social skills. 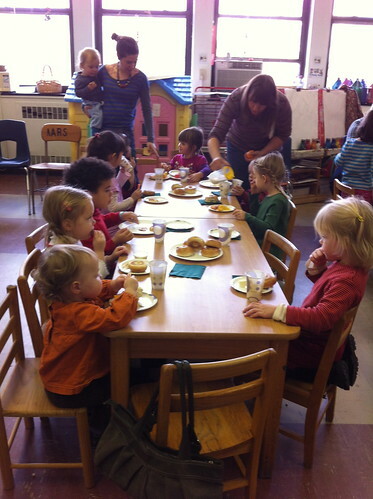 Children in preschool learn how to share, how to play nicely with others and how to compromise. These important skills are carried throughout our lifetimes. It stands to reason that the more children speak, the stronger their language skills will become. Children aged three and four are developing these important skills at a rapid rate. By surrounding your child with their peers and adults outside of your social circle, his language skills will blossom. Additionally, the more people that your child has contact with during these formative years, the wider his knowledge base becomes. Not every child is ready to leave the nest quite so early, even if it’s only for a few hours. If your child has issues with separation anxiety, sending him to preschool can do more damage than good. Children who are not ready for separation can be highly distressed by the mere thought of being sent to a strange place for the day. If you are unable to leave your child for any length of time without him becoming anxious, do not make the mistake of thinking that exposure to preschool will alleviate the problem. Children who are naturally shy tend to have a more difficult time with preschool than those who are outgoing. For some children, preschool is simply too stimulating to be a comfortable environment. If your child is upset by loud noises, is easily frightened or does not enjoy playing in groups, preschool may not be the answer. Instead, teach your child the basics at home and work on his social skills by taking him to public places where you will be able to calm his fears. If you think that preschool is right for your child, it’s important to understand that not all preschools are created equally. Do your research before selecting a preschool for your child when you have the choice of several. Look for a center that is able to meet your expectations and one that is suitable for the level of your child’s development. Preschool should be an enjoyable place for your child where he learns how to be social and how to learn; preschool should not be a place of stress for either you or your child. Saying that preschool is right or wrong for every child is a far-reaching generalization. Whether or not preschool is right or wrong is an individual decision that every parent must make for her child. There are lots of positives of preschool in the right scenario. However, there can be negatives of preschool too and it can also be detrimental in certain instances so doing your research and finding a preschool that is a good fit is important. Guest post by Writer Brett Harris who blogs about the importance of preschools in the educational years. If teaching young minds is an interest of yours, check out the early childhood education online degree available online at several schools. My twins just finished up their 3rd year of preschool, and I can honestly say that for them, the benefits definitely outweighed any potential negatives. My son (I have boy and a girl) is a little nervous now about kindergarten in a few weeks, but I think that any anxiety he’s experiencing now is orders of magnitude less than it would have been if he didn’t have such a great and positive preschool experience! Good points you make! My kids are not shy at all, nor to they have separation anxiety. Since I work from home, I have the luxury of not needing preschool for child care. 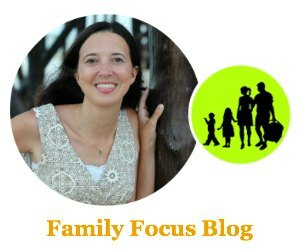 I opted for both of my children to attend home-based preschools for two days a week, just a few hours each day. It gave them an intro to school before kindergarten, but it was a nice, secure transition. They both loved it. And I loved that I didn’t have to give them up too much! They will be in school seemingly forever. I want to hold them close to me and close to home as long as possible! My son has had huge benefits from preschool. He is a late talker (no medical reason for a language delay, no cognitive issues… he’s just not a talker). Since attending preschool, he’s finally experiencing that language explosion. He’s even used an occasional seven word sentence, which is just huge. The language benefits alone was the prime reason for sending him. 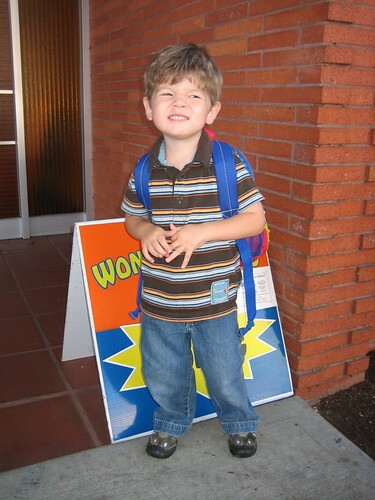 This is a great article, I am getting my child equipped for kindergarten without preschool. I am teaching the reading, writing, math and even some science stuff. He’s also apart of a play group once a week and he’s already participated in a team sport and taken swim lessons. So he’s quite social and I think he will fit right in when it comes to kindergarten and know what is expected of him.